Fourth fireworks: Although July Fourth is always on the same date, it falls on different days of the week depending on the year. The best of all worlds for Hollywood is to have the Fourth on a Monday as it is this year since that makes the weekend a four day holiday period. After the last two years of calendar horrors, Hollywood really deserved some better timing. In 2014, July Fourth was on a Friday. Hollywood doesn't like that because the holiday's boxoffice boost is wasted when it's on a day that's routinely a great day for moviegoing. Last year was even worse. The Fourth fell on a Saturday, which is the best night of the week for moviegoing. Lots of pain, but no gain! This year almost fell into the weekend problem zone, as well, because the Fourth should have been on a Sunday. While Sunday isn't as strong a day for ticket sales as Friday or Saturday, it's still part of the weekly routine. So having the Fourth on a Sunday doesn't add as much extra business as it would on a normally quiet night like Monday. Fortunately, 2016 is a leap year, so Independence Day will be on a Monday rather than a Sunday. Hollywood loves extended holiday weekends since moviegoing is such a great way to fill up some of those extra leisure hours. Of course, what Hollywood really hopes for on July Fourth is very hot weather, high humidity and rain all day long. If it rains hard enough to wash out picnics, barbecues, beach visits, pool parties, parades and fireworks, about the only thing left for people to do is visit their favorite multiplex. And the hotter and more humid it is, the more inviting an ice cold movie theatre becomes. Parents with young kids are particularly likely to spring for moviegoing under such weather driven circumstances as it generally will keep siblings from "killing" each other at home! Needless to say, to generate real boxoffice fireworks, the films playing must provide "something for everybody." Not surprisingly, that's exactly what Hollywood's about to put into the marketplace. The holiday weekend kicks off Fri., July 1 with three wide openings joining three films that opened wide one week earlier. 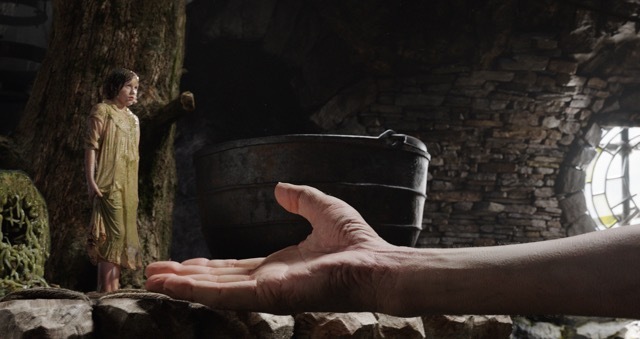 Families with young children are the likely audience for three time Oscar winner Steven Spielberg's PG rated 3D family fantasy adventure "The BFG" from Disney and Amblin Entertainment in association with Walden Media, opening at about 3,200 theatres. In "BFG," based on the best-seller by "Charlie and the Chocolate Factory" author Roald Dahl, the 24 foot tall Big Friendly Giant (Mark Rylance) introduces 10 year old Sophie (Ruby Barnhill) to the wonders and perils of Giant Country. "Charlie," which was directed by Tim Burton and starred Johnny Depp, Freddie Highmore and Helena Bonham Carter, opened July 15, 2005 to $56.2 million and did $206.5 million domestically. Universal Pictures, Blumhouse Productions and Platinum Dunes' R rated action horror thriller "The Purge: Election Year" is from James DeMonaco, director of "The Purge" and "The Purge: Anarchy." It's opening at about 2,700 theatres and should play best to young adult men and women. Two years ago police sergeant Leo Barnes (Frank Grillo) nearly took revenge on his son's killer on Purge Night. Today, he's heading security for Senator and presidential front-runner Charlene Roan (Elizabeth Mitchell), an anti-Purge candidate. Together they must survive the annual ritual when for one night all crimes are legal -- including murder. Warner Bros., Village Roadshow Pictures and Jerry Weintraub Productions' PG-13 rated 3D action adventure "The Legend of Tarzan" is from four time "Harry Potter" franchise director David Yates. It's opening at about 3,450 theatres and should do best with adult men and women. It's been years since Tarzan (Alexander Skarsgard) left the jungles of Africa for a gentrified life as Lord Greystoke with his wife Jane (Margot Robbie). Now, returning to the Congo as a trade emissary, he's unaware that he's a pawn in a deadly convergence of greed and revenge, masterminded by the villainous Captain Rom (Christoph Waltz). In addition, there are new films already positioned in the marketplace to compete for moviegoers' time and money over July Fourth. 20th Century Fox's PG-13 rated 3D sci-fi action adventure "Independence Day: Resurgence" opened last weekend in second place to $41.6 million and will look for the Fourth to boost its second weekend ticket sales. Its core audience is men over 25. Directed by Rolland Emmerich ("Independence Day"), "Resurgence" stars Liam Hemsworth, Jeff Goldblum and Bill Pullman – but not Will Smith, who starred in the original. Columbia Pictures and Ombra Films' PG-13 rated horror thriller "The Shallows" opened last weekend in fourth place to $16.7 million. Directed by Jaume Collet-Serra ("Orphan"), it stars Blake Lively, Oscar Jaenada and Brett Cullen. Its core audience is women over 25. STX Entertainment's R rated biographical action Civil War-set drama "Free State of Jones" opened last weekend in fifth place to $7.8 million. Directed by Gary Ross ("The Hunger Games"), it stars Matthew McConaughey, Keri Russell and Gugu Mbatha-Raw. Its core audience is men over 25. Family audiences can also catch up with Walt Disney Pictures and PIXAR Animation Studios' PG rated 3D animated comedy adventure "Finding Dory" from "Finding Nemo" director Andrew Stanton and first time feature director Angus MacLane. It topped last weekend's chart with $73.2 million in its second weekend. Although "Dory's" already grossed $288.6 million, it's a safe bet to play well to families over the long holiday weekend. These films follow in the footsteps of some legendary July Fourth hits over the past three decades – films that helped make moviegoing part of how Americans now celebrate our nation's birthday. For many years, July Fourth wasn't considered a good time to open a big movie because it brought so much competition for people's attention. In the 1950s and '60s, local Independence Day celebrations were a big factor in small town America. Parades, picnics and beach parties were popular ways to enjoy the holiday, as were evening fireworks displays. Over the years, things changed and those traditions became weaker. By the mid-'80s, Hollywood started to see July Fourth's potential as a big boxoffice holiday. Things started heating up with Universal's Wed., July 3, 1985 launch of the time travel fantasy adventure "Back to the Future." It opened to what was a sizable $11.2 million for three days at the time with a then very wide release at 1,420 theatres. Its five day cume through Sun., July 7 was $14.7 million. "Future" wound up doing $210.6 million domestically and was 1985's top grossing film. Since then, July Fourth ticket sales have soared. Here's a quick look at the holiday's chart toppers over the past 26 years. · 1990: Paramount's opening of "Days of Thunder," starring Tom Cruise, finished first with $15.5 million at 2,307 theatres and a five day cume of $21.5 million. The Fourth was on a Wednesday. · 1991: Tri-Star's opening of "Terminator 2: Judgment Day," starring Arnold Schwarzenegger, was number one with $31.8 million at 2,274 theatres and a six day cume of $52.3 million. The Fourth was on a Thursday. · 1992: Warner Bros.' "Batman Returns," starring Michael Keaton, was first with $13.8 million at 2,644 theatres and a cume of $123.1 million after 18 days of release. The Fourth was on a Saturday (as 1992 was a leap year). · 1993: Paramount's opening of "The Firm," starring Tom Cruise, was the chart-topper with $32.5 million at 2,393 theatres and a six day cume of $45.6 million. The Fourth was on a Sunday. · 1994: Disney's animated feature "The Lion King" was number one with $34.2 million at 2,560 theatres and a 20 day cume of $104.5 million. The Fourth was on a Monday. · 1995: Universal's opening of "Apollo 13," starring Tom Hanks, finished first with $25.4 million for three days. The Fourth was on a Tuesday. · 1996: Fox's opening of "Independence Day," starring Will Smith, topped the boxoffice with $50.2 million at 2,882 theatres and a six day cume of $96.1 million. The Fourth was on a Thursday (as 1996 was a leap year). · 1997: Columbia's opening of "Men in Black," starring Will Smith and Tommy Lee Jones, took first place with $51.1 million at 3,020 theatres and a six day cume of $84.1 million. The Fourth was on a Friday. · 1998: Disney's opening of "Armageddon," starring Bruce Willis, came in first with $36.1 million at 3,127 theatres and a five day cume of $54.2 million. The Fourth was on a Saturday. · 1999: Warner Bros.' opening of "Wild Wild West," starring Will Smith, topped the chart with $36.4 million at 3,342 theatres and a six day cume of $49.7 million. The Fourth was on a Sunday. · 2000: Warner Bros.' opening of "The Perfect Storm," starring George Clooney and Mark Wahlberg, finished first with $41.3 million at 3,407 theatres for the three day weekend. The Fourth was on a Tuesday (as 2000 was a leap year). · 2001: Warner Bros.' opening of "Cats & Dogs," starring Jeff Goldblum, was number one with $21.7 million at 3,040 theatres and a six day cume of $35.8 million. The Fourth was on a Wednesday. · 2002: Columbia's opening of "Men in Black II," starring Will Smith and Tommy Lee Jones, took top honors with $52.1 million at 3,557 theatres and a five day cume of $87.2 million. The Fourth was on a Thursday. · 2003: Warner Bros.' opening of "T3: Rise of the Machines," starring Arnold Schwarzenegger, came in first with $44.0 million at 3,504 theatres and a five day cume of $72.4 million. The Fourth was on a Friday. · 2004: Columbia's opening of Spider-Man 2," starring Tobey Maguire, was the chart topper with $115.8 million at 4,152 theatres and a six day cume of $180.1 million. The Fourth was on a Sunday (as 2004 was a leap year). · 2005: Paramount's opening of "War of the Worlds," starring Tom Cruise, led the boxoffice with $77.1 million at 3,906 theatres and a six day cume of $112.7 million. The Fourth was on a Monday. · 2006: Warner Bros.' opening of "Superman Returns," starring Brandon Routh and Kevin Spacey, took first place with $52.5 million at 4,065 theatres and a five day cume of $84.6 million. The Fourth was on a Tuesday. · 2007: Paramount's opening of "Transformers," starring Shia LaBeouf and Megan Fox, came in first with $70.5 million at 4,011 theatres and a seven day cume of $155.4 million. The Fourth was on a Wednesday. · 2008: Columbia's opening of "Hancock," starring Will Smith, placed first with $62.6 million at 3,965 theatres and a five day cume of $103.9 million. The Fourth was on a Friday (as 2008 was a leap year). · 2009: Paramount's "Transformers: Revenge of the Fallen," starring Shia LaBeouf, was number one in its second weekend with $42.3 million at 4,234 theatres and a 10 day cume of $293.4 million. The Fourth was on a Saturday. · 2010: Summit Entertainment's opening of "The Twilight Saga: Eclipse," starring Kristen Stewart, Robert Pattinson and Taylor Lautner, took first place with $83.6 million at 4,468 theatres and a six day cume of $176.4 million. The Fourth was on a Sunday. · 2011: Paramount's opening of "Transformers: Dark of the Moon," starring Shia LaBeouf, finished first with $115.9 million at 4,088 theatres and a four day cume of $180.7 million. The Fourth was on a Monday. · 2012: Columbia and Marvel's "Spider-Man" franchise reboot "The Amazing Spider-Man," starring Andrew Garfield and Emma Stone, opened in first place to $62 million at 4,318 theatres and a six day gross of $137 million. The Fourth was on a Wednesday (as 2012 was a leap year). · 2013: Universal and Illumination Entertainment's 3D animated comedy "Despicable Me 2" opened in first place to $83.5 million and a five day gross of $143.1 million. The Fourth was on a Thursday. · 2014: Paramount and Hasbro's opening of the 3D "Transformers: Age of Extinction," starring Mark Wahlberg, finished first in its second weekend with $37.1 million for three days, bringing its cume to $175.4 million. The Fourth was on a Friday. · 2015: Disney and Pixar's 3D animated "Inside Out" topped the chart in its third week with $29.8 million for three days, bringing its cume to $245.9 million. The Fourth was on a Saturday. Bottom line: In 2017, July Fourth will fall on a Tuesday, which is good because it will boost business on a weak day of the week. Of course, with the Fourth on a Tuesday there's no extended four day weekend to drive ticket sales like there is this year. Here's what to expect a year from now, bearing in mind that release dates are always subject to change. Disney and Pixar's animated 3D family comedy adventure "Cars 3" will open June 16 in advance of the Fourth, just as "Dory" did this year. "Cars 2" opened June 24, 2011 to $66.1 million and did $191.5 million domestically. Paramount and Hasbro's "Transformers: The Last Knight," from "Transformers" franchise director Michael Bay, stars Mark Wahlberg and Josh Duhamel. It also will be positioned in the holiday marketplace after opening June 23, the same way "Resurgence" did this time around. It should play best to male action movie fans. "Transformers: Age of Extinction" opened June 27, 2014 to $100 million and did $245.4 million domestically. Two wide releases are arriving Fri., June 30 for the weekend preceding July Fourth. Universal and Illumination Entertainment's 3D animated family comedy "Despicable Me 3," is directed by Pierre Coffin ("Despicable Me," "Despicable Me 2") and Kyle Balda ("Minions") and stars the voice talents of Steve Carell and Trey Parker. "Minions" opened July 10, 2015 to $115.7 million and did $336 million domestically. The comedy "The House," from Warner Bros., New Line Cinema and Village Roadshow Pictures, is from first time feature director Andrew Jay Cohen and stars Will Ferrell and Amy Poehler. It should play best to adult women.